Free with limited edition Love Is Dead shirt or hoodie order from Sounds Rad. Get 'em while you can. Hey how's it going? How've you been? Oh, that's nice or too bad, depending. Another show list. I haven't listed any of this stuff here before, though the truly new ones are the shows in April with Teenage Bottlerocket and Nobodys. Tickets for those go on sale on Friday, Feb 3, at 10 AM. You should come to all of these. Otherwise, you'll miss them. In other news, check out the product page over at Sounds Rad. They're doing a limited Love Is Dead shirt/hoodie for Valentines Day, and it comes with some Valentines cards featuring MTX lyrics. 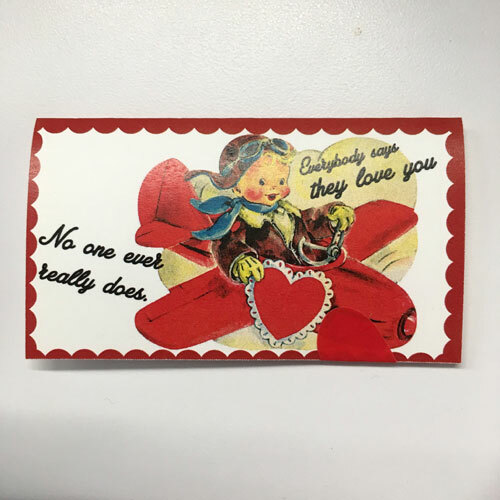 These were pre-ordered/reserved through the mailing list, but there are a limited number remaining, so act now, especially if you want to get it before Valentine's Day. (They're going to go fast, though, either way I'm sure.) There's a also an enamel Mtx amp head pin, and a great deal on shirt, pin, and album package. Fri. Feb. 24: MTX, with Screeching Weasel, 30 Foot Fall, Nobodys. White Oak Music Hall. 2915 N. Main St., Houston, TX 77099. Tickets here Facebook event page here. Sat. Feb. 25: Remember the Punks presents: MTX, Nobodys, Turnaways, Capitalist Kids. The Korova. 107 E. Martin St., San Antonio, TX. Tickets here. Facebook event page here. Sat. April 1: Dr. Frank solo/acoustic, with the Avengers, Pansy Division, the Plus Ones. Bottom of the Hill, 1233 17th St., San Francisco CA. This is Joel Reader's birthday, and as far as I'm aware I'm going to do two short acoustic sets amidst the electric bands. Tickets here. Facebook event page here. Thurs. 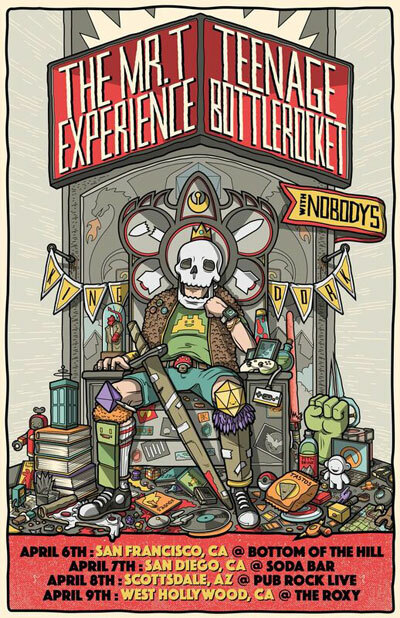 April 6: MTX, Teenage Bottlerocket, Nobodys, Happyness. Bottom of the Hill, 1233 17th St. San Francisco, CA. Tickets here. Fri. April 7: MTX, Teenage Bottlerocket, Nobodys. Soda Bar, San Diego, CA. Tickets here. Sat. April 8: MTX, Teenage Bottlerocket, Nobodys, Planet Manboy. Pub Rock Live, Scottsdale, AZ. Tickets here. Facebook event page here. Sun. April 9th: MTX, Teenage Bottlerocket, Nobodys. The Roxy, West Hollywood, CA. Tickets here.